with green fee (18 holes), caddie/person, cart/two persons, insurance, service charge. Cart is a must for all golfers. 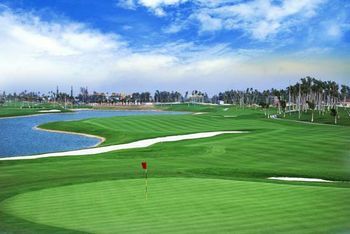 How to get to Sanya Luihuitou Golf Club? The Sanya Luhuitou Golf Club is located very close to Dadonghai Beach, only less than 10 minutes driving distance from Dadonghai Beach, around 30 minutes from Yalong Bay, and around 20 minutes from Sanya Bay. For more information or reservation, please email to iaminsanya@gmail.com and mention the club name you wish to check. For an urgent booking, please call her at 0086-1380-7535-200.